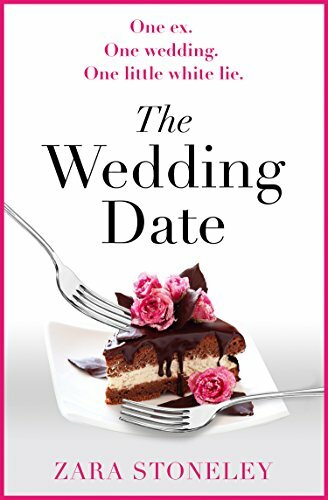 Samantha has a problem: her best friend is about to get married. No, that’s not the problem. The problem is that the best man is her ex who cheated on her and whose new girlfriend is now pregnant. She really doesn’t want to go, but she really has to, so she needs to do something to not look like she’s still thinking about her ex. Something like getting a new boyfriend, even if it has to be a pretend one. I know what you’re thinking: “this is such a cliché”. Well, let me tell you it’s not. I know that she paid him to pretend to be her boyfriend and I know that this fake relationship thing already happened in about 1001 books, but this is different! Because this is funny as well! Samatha’s character covers two sides of the same coin: the insecure one and the funny one. Regarding the first side: Sam is way too self-doubting with next-to-none self-esteem. She’s mostly conscious about her body, always thinking she’s fat when she’s actually not that bad. On the bright side, she’s so so funny. She’s kind of hysterical when she gets nervous so there were some babbling moments and incoherent sentences that had me laughing really hard! Jake is the epitome of kindness! He’s always right by Sam, always trying to protect her from her ex and reassure her that she’s beautiful and not the ugly thing that she thinks she is. He’s also an actor and a good-looking one so I guess that’s all you need to know about him! The wedding happens in Scottland so expect a Scottish setting with lots of kilts! Oh! Almost forgot! There’s a puppy too! Which was kind of a problem at first but turned out being a good addition to the story! The only thing that I would have liked to see was a stronger connection between them because for the most part of the book they fall on the friend-zone quite often which kind of deflected the way I saw them as a couple! Overall, I liked it! There were no tough subjects or heated scenes so I would recommend this as a very fun and chilled read to brighten up your day!